St. Joseph & The Helpers charity see education as one of the most effective ways of helping families to escape from poverty and deprivation. If young people cannot have access to some form of education, what future is there for them? We are currently sponsoring a number of students in college and university. Any help that you can give would be most welcome. Please help us to offer young people a future! 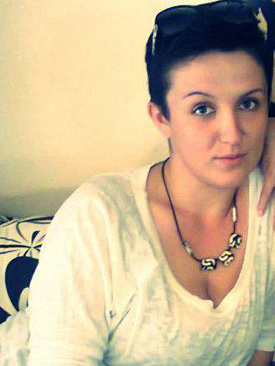 My name is Azra Rahamanovic. 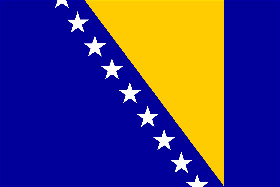 I was born on the 18th November 1992 and I am now living in Sarajevo as a student. Unfortunately, four years ago I was diagnosed with bone cancer, Osteosarcoma. Today when I look back at the last four years of my life, I say to myself there is fortunately something good coming from bad. On August 25th 2010 my leg was amputated and that was only to deal with my cancer, but I know and I see that then and now the good luck was on my side. I applied to University, got accepted and I am now in third year, studying Social Work at the Faculty of Political Science in Sarajevo.